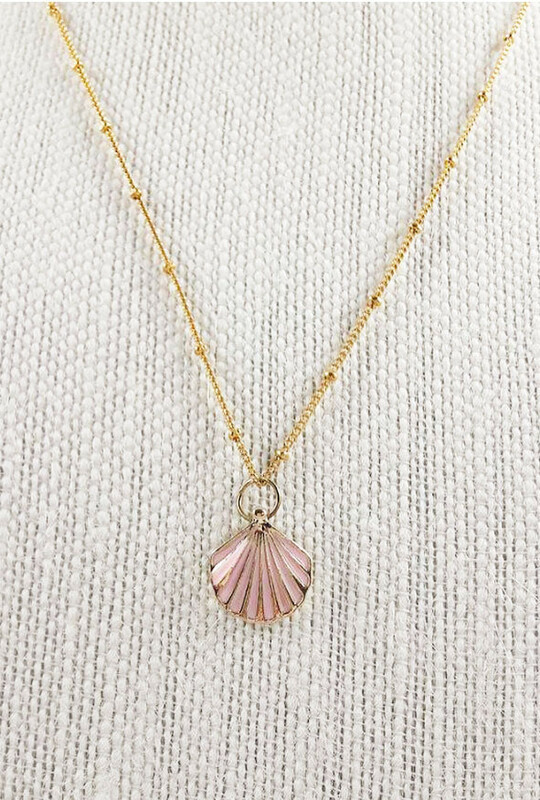 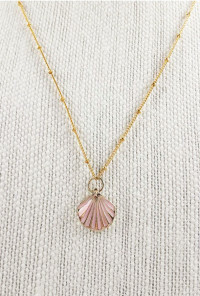 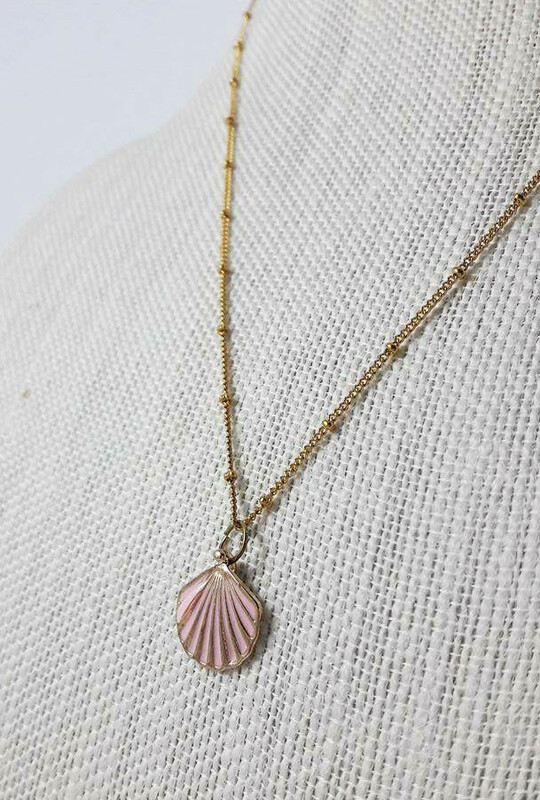 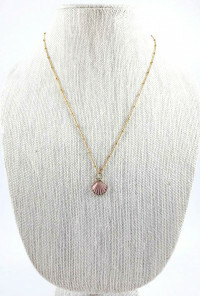 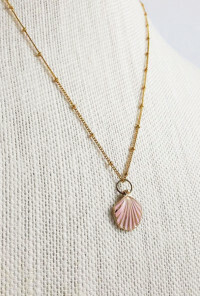 This whimsical pendant necklace features a pink enameled seashell charm on a 20" gold stainless steel station ball chain. 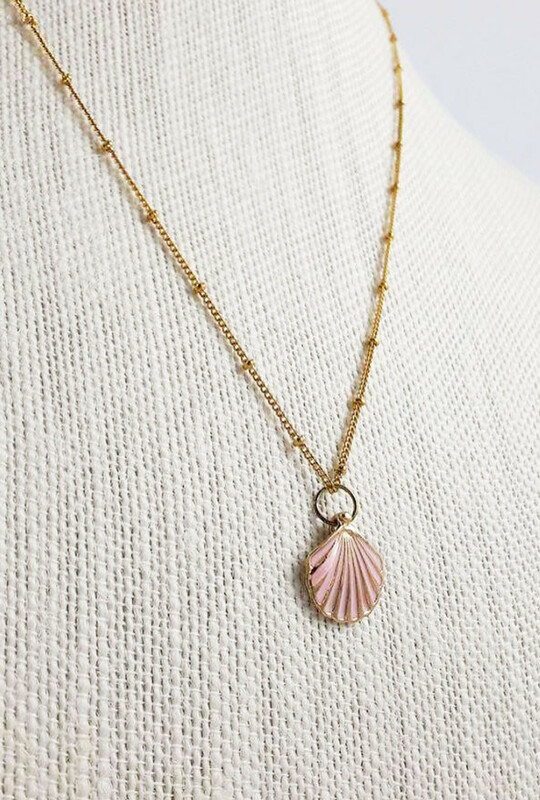 Sincerely handmade. 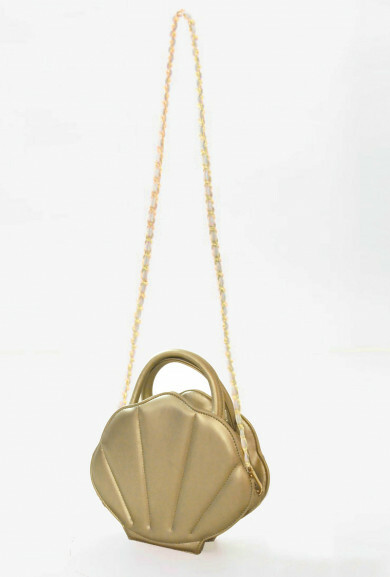 Sincerely Ours.